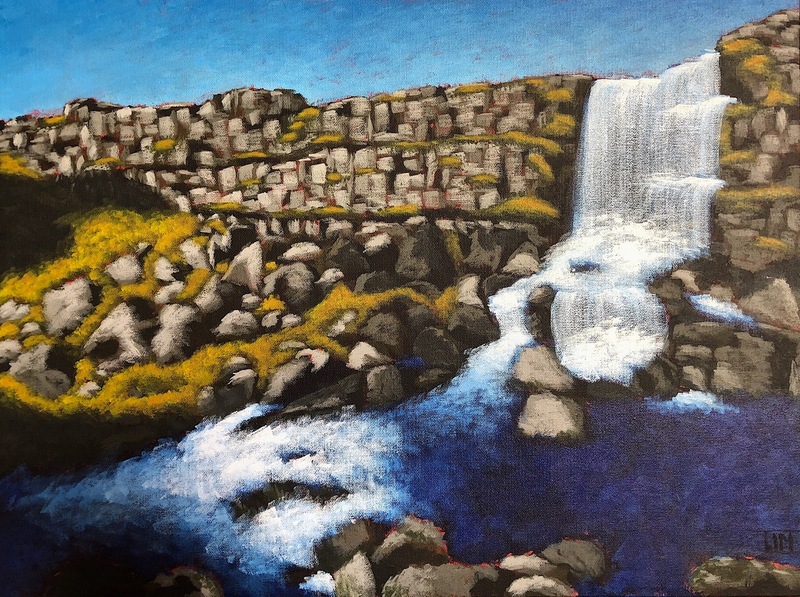 Fourth in the series of waterfall paintings comes Iceland’s Oxararfoss located along the continental plate boundary in Thingvellir National Park. While smaller than the previous three waterfalls, Oxararfoss has a ruggedness to it not present at the others due to the rocky environment and the rift valley between the two continental plates. With this painting I strove for a looser interpretation than I normally paint in an attempt to capture the spirit of being at the falls.